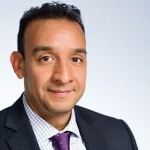 Edgar has been involved in the financial industry since 1999 where he began his career at Voya as a Client Service Associate (CSA). Edgar quickly advanced to managing his own team of CSA’s. After a few years in management, he began to pursue a career in financial planning, working with his clients to strengthen their retirement and work towards their long-term goals. Edgar has also achieved the NSSA® designation and continues to develop his mastery of the financial planning field. Edgar possesses the skills and expertise necessary to ensure that our clients are in the best possible position to meet their long-term goals and needs. High-Net-Worth Investors Turn to Alternatives. Should you? Even in the face of the continuing bull market that we have enjoyed since 2008, high-net-worth investors are seeking alternative investments to protect and hedge their portfolios and other investments, according to a recent survey from Millennium Trust Company, an institutional custodian headquartered in Oak Brook, IL.